In COLO205-F1756 clone 4, CCT251545 potently inhibited WNT pathway activity, with the IC50 value of 0.035 μM. Moreover, CCT251545 did not affect endogenous levels of TCF1 or TCF4. In mice bearing COLO205-F1756 clone 4 xenografts, CCT251545 (70 mg/kg; p.o. ; b.i.d., for 9 days) substantially inhibited WNT signaling and reduced tumor weights by 37.5%. 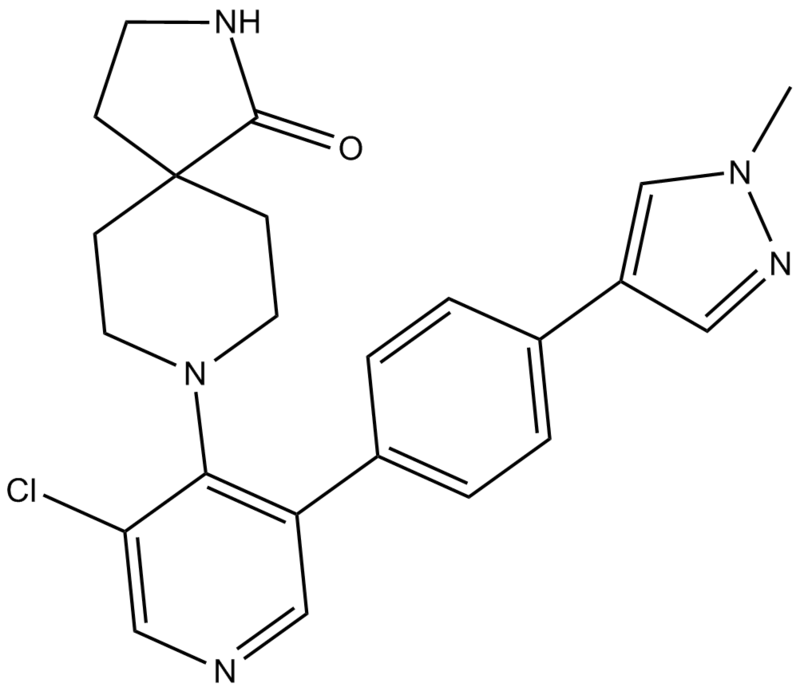 CCT251545 is an orally bioavailable and potent inhibitor of WNT signaling with IC50 value of 5 nM . The WNT signaling network controls cellular functions such as proliferation and differentiation, and is a major regulator of mammalian development. WNT signaling is frequently deregulated in malignancy, especially in colon cancer, and plays an important role in the generation and maintenance of cancer stem cells . CCT251545 is an orally bioavailable and potent WNT signaling inhibitor discovered through high-throughput cell-based screening. CCT251545 is also a potent and selective chemical probe for the human Mediator complex-associated protein kinases CDK8 and CDK19. CCT251545 changed gene expression regulated by WNT pathway and other on-target effects of modulating CDK8 and CDK19, including expression of genes regulated by STAT1 . CCT251545 also inhibited GSK3α and -β with IC50 values of 0.462 and 0.690 μM. In APC mutant human colorectal cancer cell line (COLO205-F1756 clone 4), CCT251545 inhibited WNT pathway activity with IC50 value of 0.035 nM . In both mouse and rat, CCT251545 exhibited moderate clearance with moderate to high oral bioavailability. In mice bearing COLO205-F1756 clone 4 tumor xenografts, CCT251545 (70 mg/kg po bid for 9 days) significantly inhibited WNT signaling and reduced tumor weights by 37.5% .